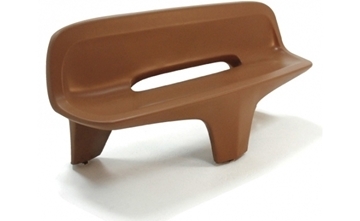 Picnic Furniture's commercial concrete outdoor benches are manufactured to be durable and last for decades to come. The considerable weight of our sturdy concrete benches with reinforced steel produces an inherent benefit by enduring public abuse and acting as a theft deterrent. The commercial quality and maintenance free nature make our concrete benches a favorite at memorial parks, streetscapes, restaurants, highway rest stops, and other public resting areas. Many of our concrete benches will ship with a lift gate service, making delivery much easier. 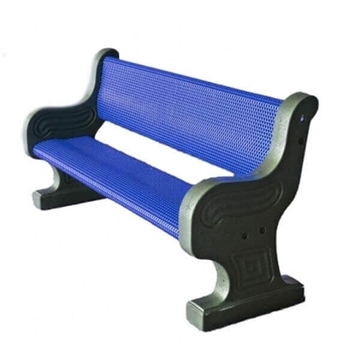 Our heavy duty concrete benches are proudly crafted in the USA with a 2-year commercial warranty provided. Order online or call our friendly staff today for assistance on quantity prices and shipping details. 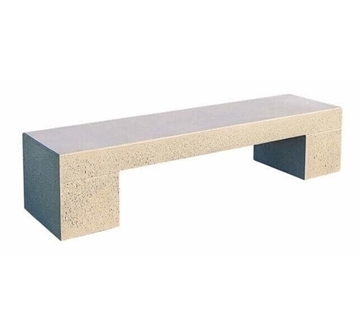 The concrete benches we sell are made by Wausau Tile; the number one factory for concrete furniture in the USA. Our factory delivers quickly and has east coast and west coast distribution to save on shipping costs. We even provide lift gate services for all of our concrete benches. Companion products such as concrete trash receptacles and picnic tables can be purchased to present a complete picnic . Concrete benches are durable and vandal proof.